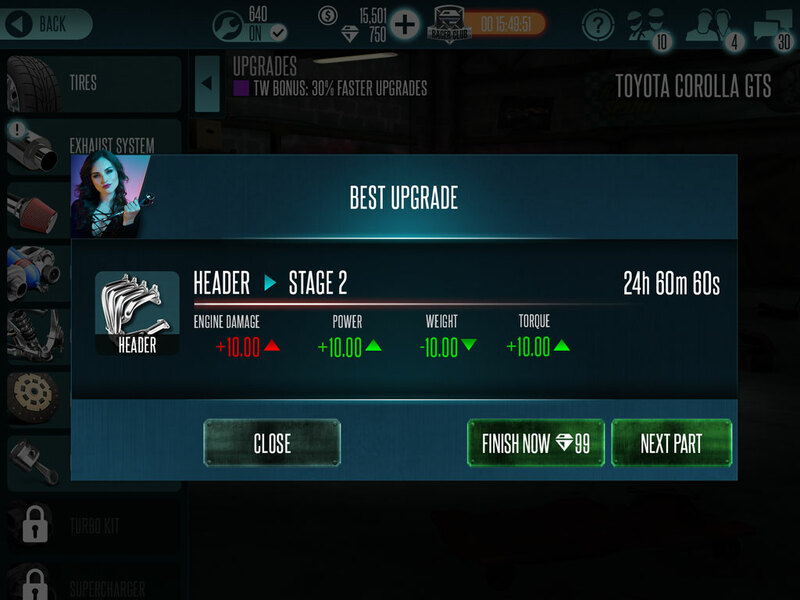 We needed to design a feature that will help guide users which will be the best part to upgrade for their car. 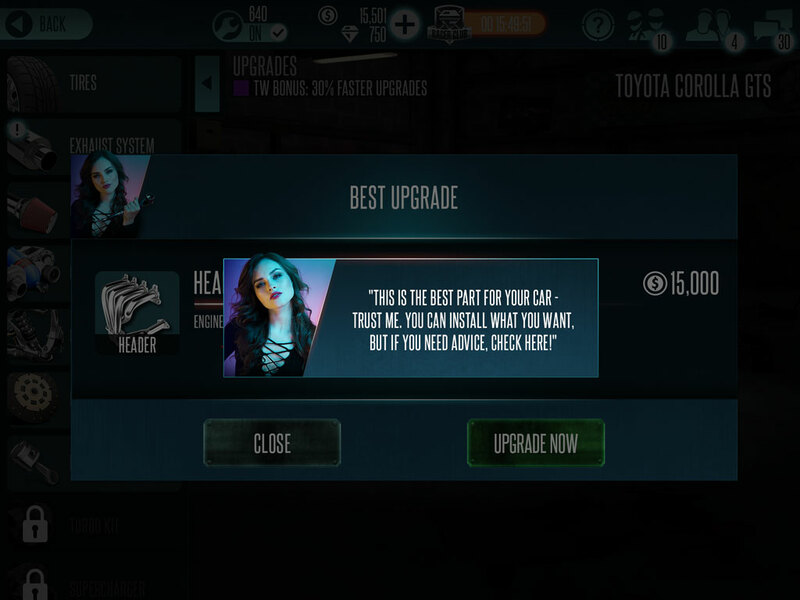 The Mechanic feature gives users a suggested part to upgrade. 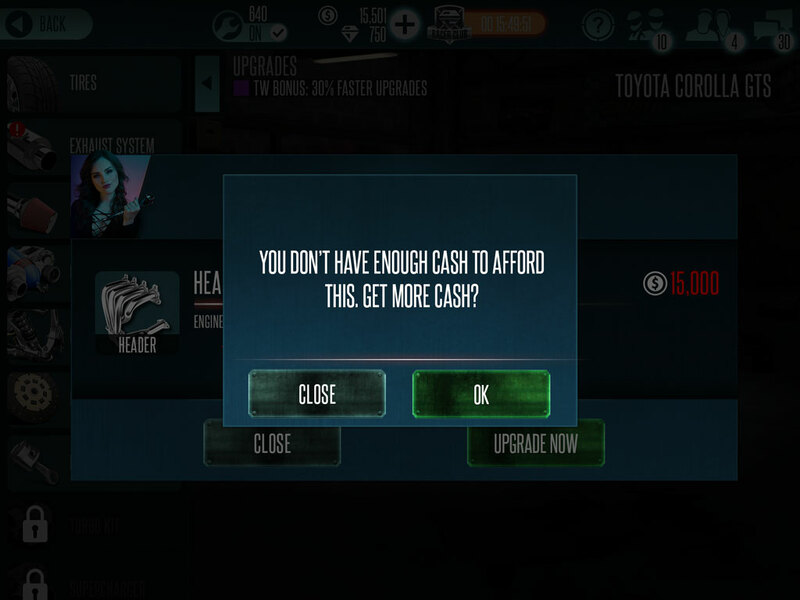 This suggested part is the best that is available for the user’s equipped car whether the user can afford it or not. The upgrades will still have the countdown timer, and the user has to spend to finish asap. 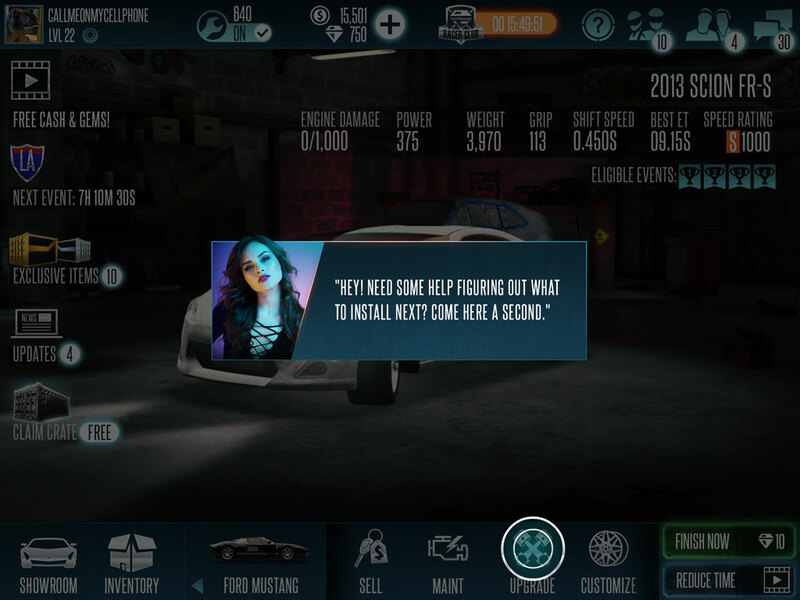 The Mechanic Helper will be introduced through the FTUE. Once the user loses the first time through the tutorial, the Mechanic Helper, which is represented with Alex’s icon, will guide you to the best upgrade to get over your first loss. After your first loss in the tutorial, there will be a pop up to notifying to help you. Just follow the prompts for it. 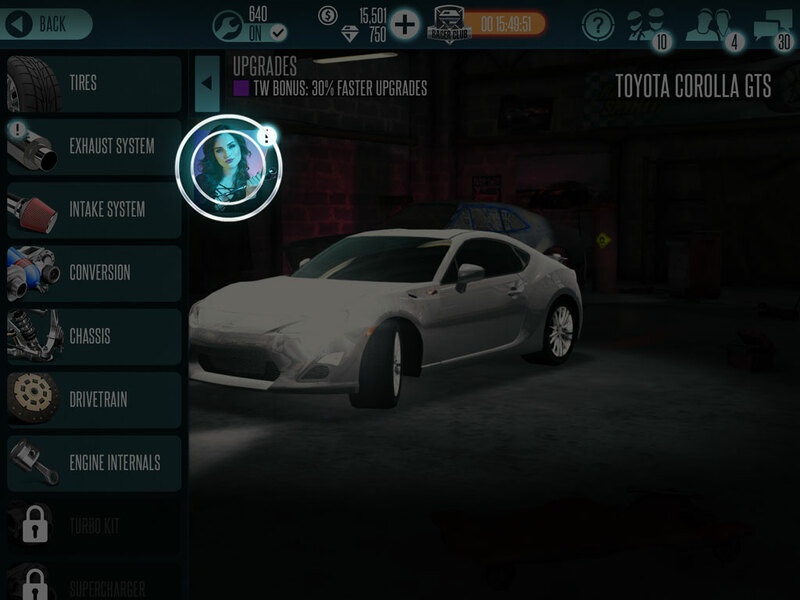 The Mechanic Helper will show the user the part to upgrade and it’s up to the user if they decide to upgrade or not. 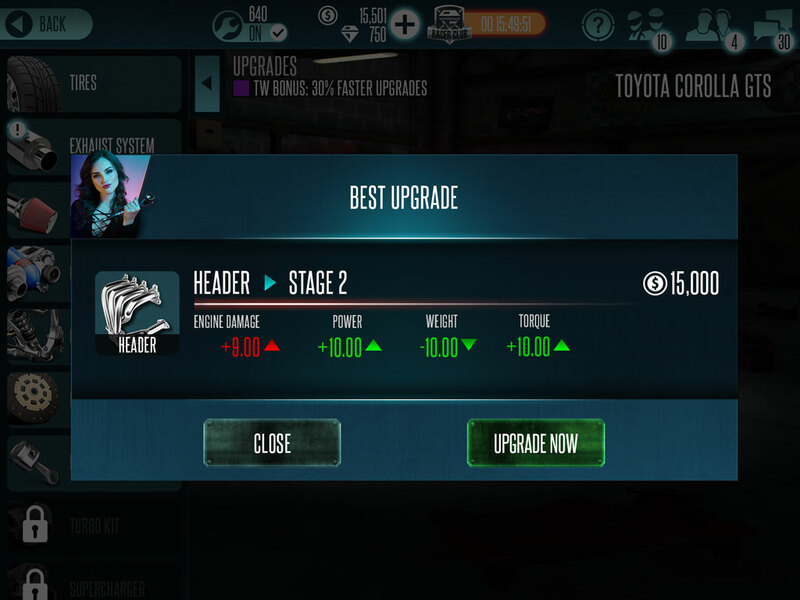 Once you start an upgrade, you will have an option to finish the upgrade by paying hard currency or just wait for it, or proceed to the next available part. If you cannot afford the upgrade, a pop up will notify you. 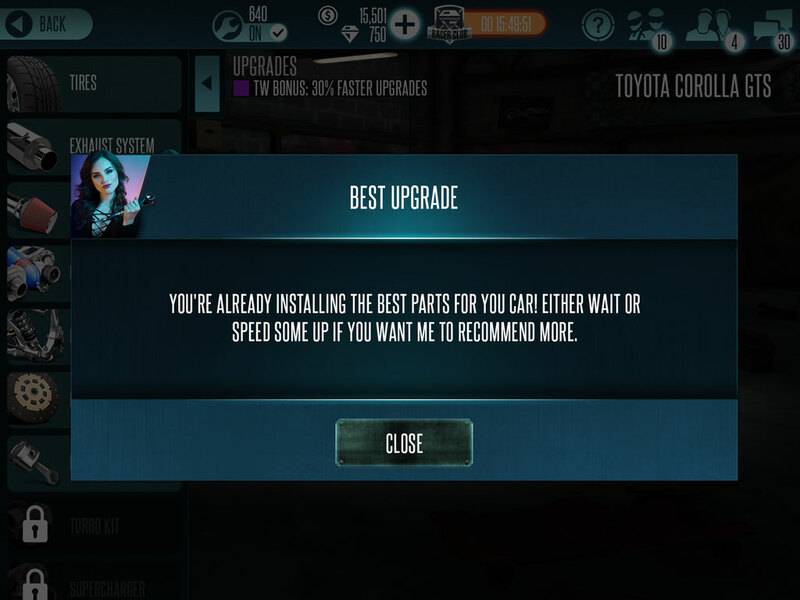 And if you upgraded everything that is suggested, the Mechanic Helper will notify you through the upgrade window that you’ve upgraded everything that’s suggested.